"Volume II" is a 9-song-long manifestation of how heavy rock should sound like in 2010. The album is recorded live and analog, and will kick-start rock-hearts with a weakness for warm and tube-driven distortion. The sound of Tombstones is crushingly massive, suggestive and down-tuned, and has references to the best milestones of heavy-rock through time. 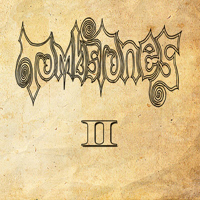 The collaboration of Billy Anderson and Audun Strype from the prior album continues and they purify the sound Tombstones has developed as their trademark on "Volume II". Through riffs, sounds, lyrics and mood the fog comes oozing from the dark woods of Norway.